Right in front of our resort, you will find a black volcanic beach connected to a coral reef from 3m to 25 meter depth. Below 20 meters are coral covered ridges where you can see silvertip sharks, parrot fish, mountain fish, barracudas or morays. Sharp eyes will see places with cleaning shrimps, rockfish and stonefish. On night dives you will be able to see the Spanish Dancer. This is suitable for all levels of divers and is accessible at any time, day or night. Tulamben has become Bali's most famous diving area and a place, where you are most likely to meet internationally recognized underwater photographers and writers. 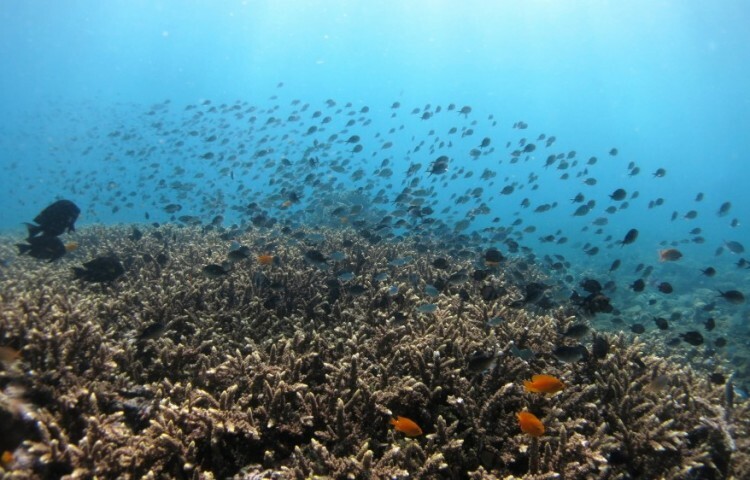 Tulamben Bay, like the rest of Bali, is situated in the richest marine biogeographic zone in the world. Being on the north-east coast, the bay receives plankton-rich waters from the major ocean current that moves from the Pacific to the Indian Ocean. This, coupled with the fact that the three main dive sites provide totally different physical environments, means that Tulamben contains a stunningly diverse underwater ecosystem. The beach is fist-sized black volcanic rocks that become sand in the shallows. This black sand does not provide the reflective properties of white limestone sand and, combined with the amount of plankton in the water, accounts for the relatively low visibility (12-25M). It does however provide a dramatic contrast, which brings out the colors of the corals, gorgonians, fish and other marine life. The hundreds of macro-species that live here both blend and contrast beautifully with the sand. 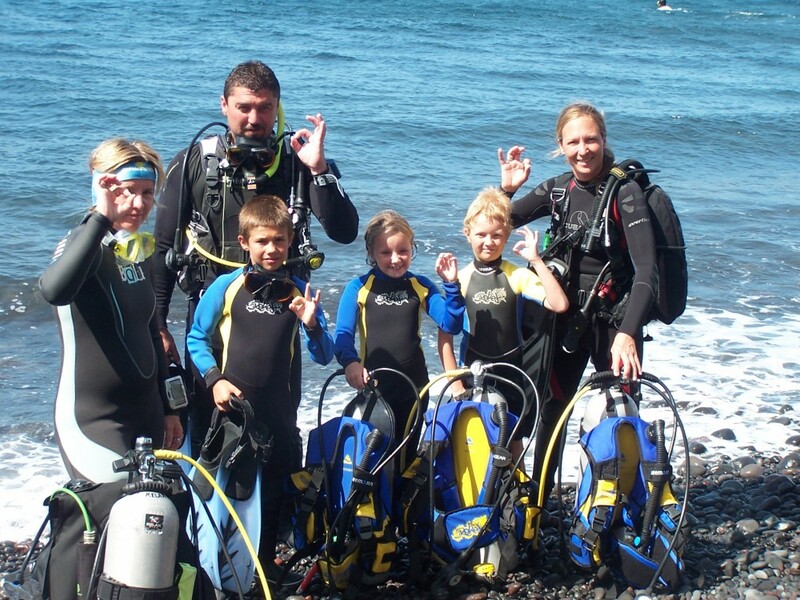 Tulamben is a wonderful place to learn to dive and to learn about underwater life. 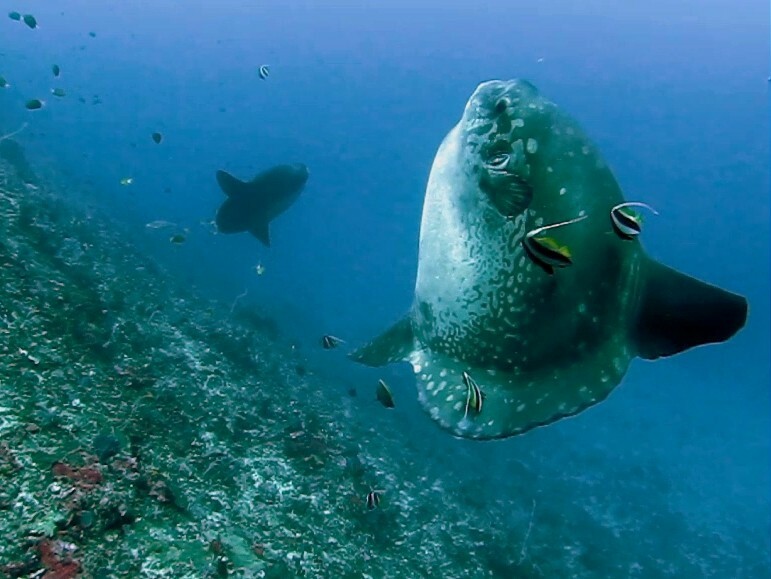 There are occasional sightings of Mola-Mola (Sunfish), Manta Rays, Whale Shark, tuna and other pelagics but it is the permanent population of Tulamben that brings people here for the first and 100th time. Bali's most famous dive site, this cargo ship, built around WWI, was equipped with guns for WWII and torpedoed by the Japanese off Lombok; despite attempts to tow the ship to northern Bali it was taking on too much water and was semi-beached at Tulamben. Over the years anything reusable was removed. In 1963, with the earth tremors from the last eruption of Mount Agung, the wreck slid further down the slope where it still lies (as close to the beach as it can be and still be underwater!). The Liberty lies approximately 30m offshore almost parallel to the beach on the sand slope and is suitable for all levels of qualification and experience. The wreck lies in depths from 9-30m; the shallowest part of the wreck, where it touches the sand slope, is at 5-10m. Depth along the middle of the wreck is 16-20m. The lower edge of the wreck, ie. furthest down the slope, is 20-28m (at high tide). The wreck is 120m long, it's pretty broken up (no penetration possible) but you can still see the guns, toilets, boilers, anchor chain, etc. It is a lovely dive site, possibly the world's easiest wreck dive. Visibility is usually 18-25m, lower when it has been raining. There is rarely a current present, at most it will be mild. During the 3 days before the full moon, there are usually waves. The air temp is 25-32 degrees, the water 26-28 degrees. The wreck is very popular with photographers as it is totally encrusted in anemone, gorgonia and corals. The black sand provides an excellent colour contrast for the incredible variety of marine life, which includes a huge school (literally hundreds) of 10-12 inch silver fish called Big-Eyed Trevally and over 400 other species of fish. All the fish are very tame (partly as a result of some guides feeding them, a rather unenvironmentally-sound practice!) from the Goatfish and Wrasse that nibble around your feet and fins during entry/exit to the Unicornfish and Surgeonfish which make a (slightly alarming the first time you see them!) beeline for your mask as you swim down towards the Wreck. 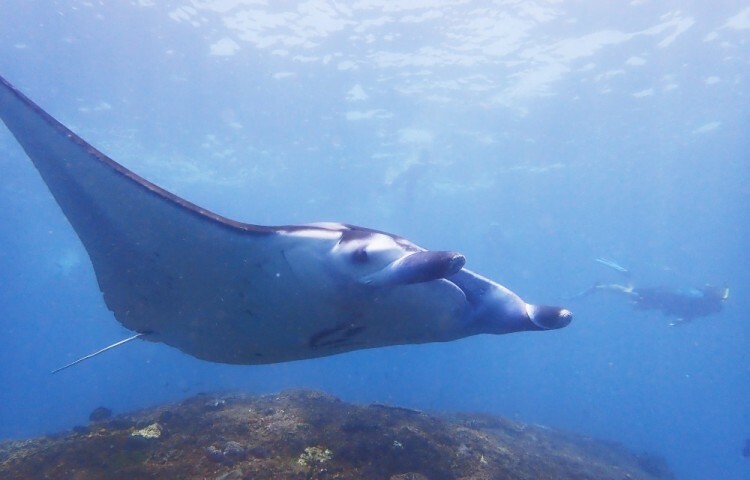 It is quite difficult to list what you will see because you'll see just about everything in any Indo-Pacific Reef Guide book if you dive here. From the minute Anglerfish, neon nudibranches, Ghost Pipefish, shrimp/goby sets; through to the areas of Garden Eels and multi-coloured clouds of anthias and damsels and on to the schools of Sweetlips, Batfish, fusiliers, Butterflyfish, the variety is amazing. Then there are the invertebrates, the hard and soft corals, black corals, sponges with crinoids, sea fans, and tunicates. If you dive early ie: first divers on the wreck (only possible if you stay overnight) you may, may, see turtle. It's the best time of day to dive the wreck. Night diving on the wreck is great especially during the full moon. You may see Spanish Dancers, flashlight fish, phosphorescence. Where else in the world could you make such an easy - and varied - night dive? Running along the middle section of Tulamben beach is a shallow reef (averaging 8-12m so also excellent for snorkelling) of mainly table and fire corals interspersed with anemones as well as barrel and other sponges. 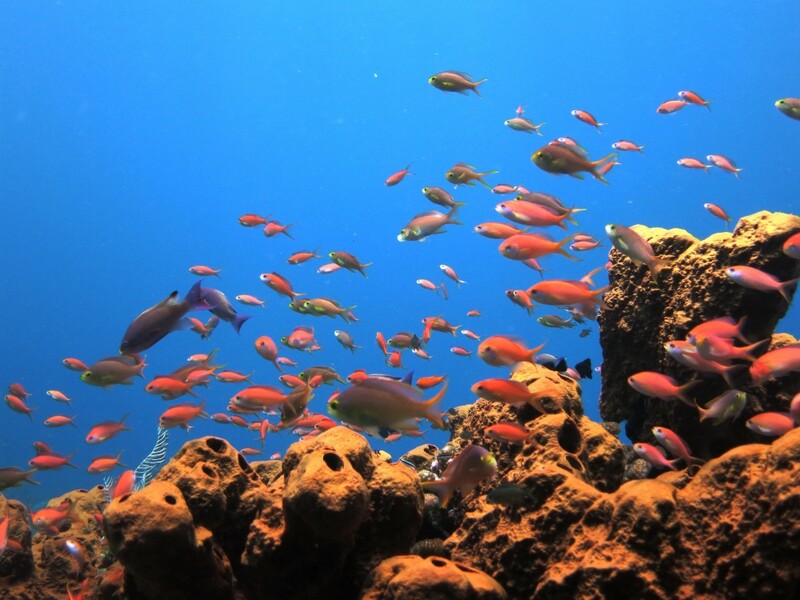 The fish life, as with the Drop-off and the Wreck, is very diverse. It is here that you can see a surprising number of Blue Ribbon Eels (the juveniles are black) and octopus, the variety of shrimp is surprising too along with the different anemone fish. The bigger fish seen here are Bumphead Parrotfish and Black Tip reef shark. Around 500 m from the Wreck to the east, the underwater wall drops to a depth of 60m, the top of the wall is around 3 to 5 m. Visibility is usually better than at the wreck but sometimes there is a slight current. You will find a school of yellow strip snappers at around 18 to 25m. The giant sea fan is just right at the corner of the drop off. The barrel sponges are huge. Practice your observation skill to find the rare "Laureia Siagiani", who lives among the sponges. Sometimes reef sharks cruise along the wall. Hammerhead sharks and Sun fish have been spotted several times at greater depth. There is a lagoon that is very calm and normally not subject to heavy surf, a great place to conduct initial training for beginner scuba divers. A 15 min. jukung (local outrigger) ride east from Tulamben Bay will take you to these two large rocks that lie just off shore. The dive site is quite dramatic and consists of three steep ridges encrusted with an incredible diversity of hard corals, beautiful sea fans, fire corals and sponges and between these ridges are channels of white sand. 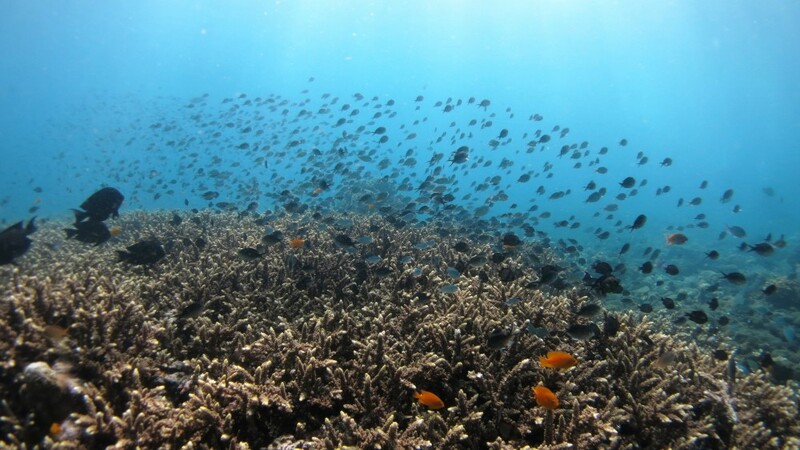 In fact, it is not only the colour of the sand that differs from Tulamben Bay, the species of even the most common reef fish are different too. The marine life varies from the tiny up to the very large: the steepness of the site combined with the structure of the ridges (and plankton-rich water) means you also have much more chance to see pelagics including barracuda, tuna, manta and white tip reef shark here than you do within the Bay. 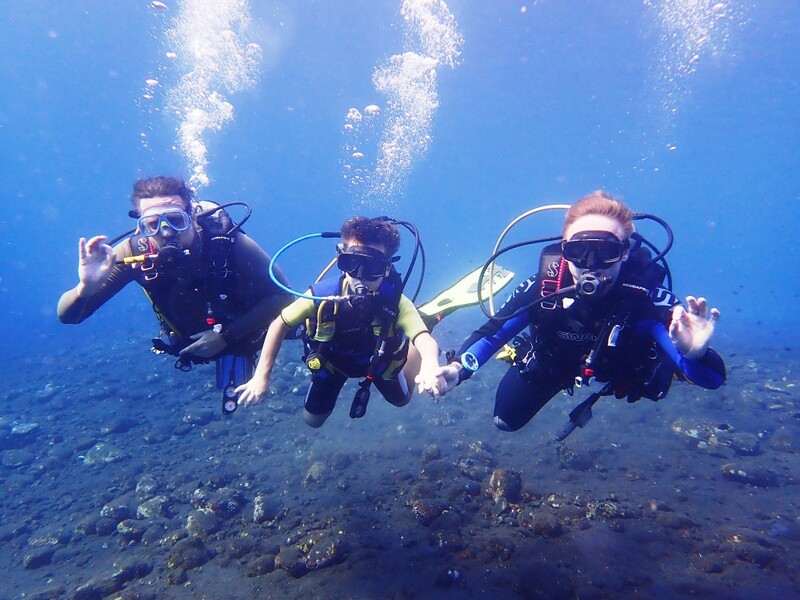 The diving here is colder than within Tulamben Bay and not only because the diving here is generally deeper: there's a cold water eddy that comes up from the depths. Visibility is generally as low as 15-20m due to the amount of plankton in the water. The current can be quite strong at times but the channels are well-protected. Recommended for experienced divers. 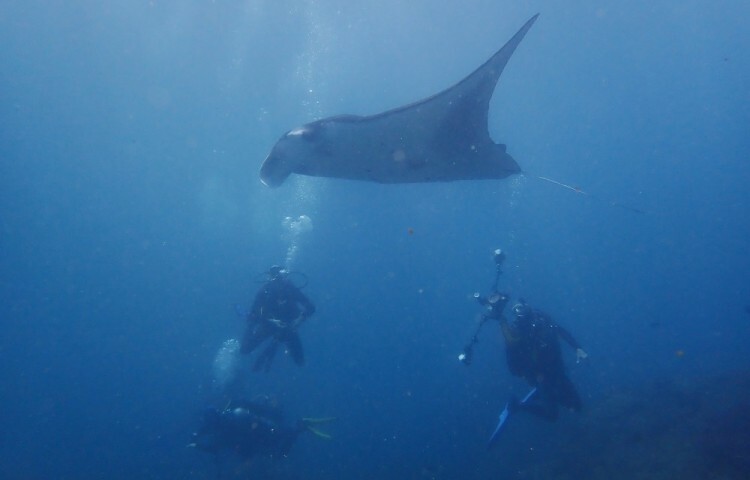 Manta Point- If you leave Bali by a fast and strong boat, after a 20 minute ride you go through a narrow canal between the islands Nusa Penida and Nusa Lembongan and the reef-lined Indian Ocean will open in front of your. Waves wash tall walls and deepen caves and clefts. On the south east coast of Nusa Penida there is a hidden cleaning station, a 10 meter high cone. 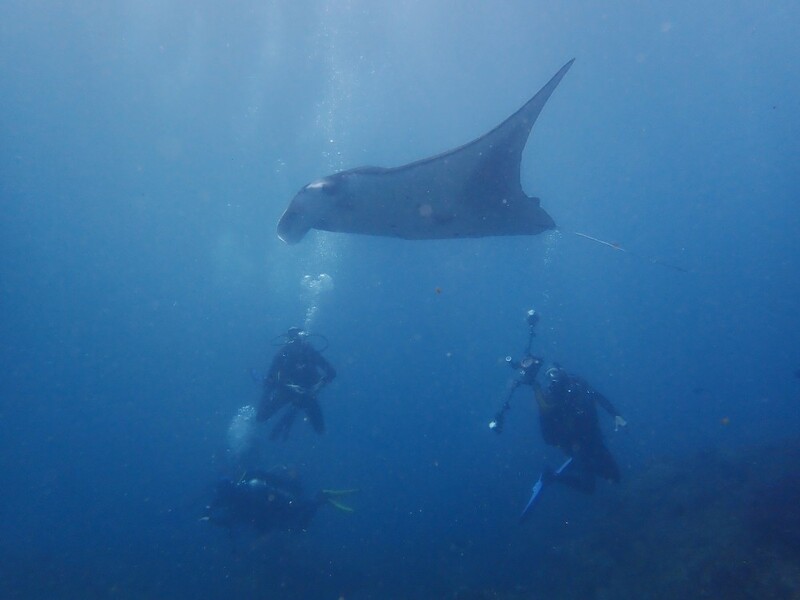 At the top (3 meters under water) many Mantas come to get cleaned by little parasite fish. 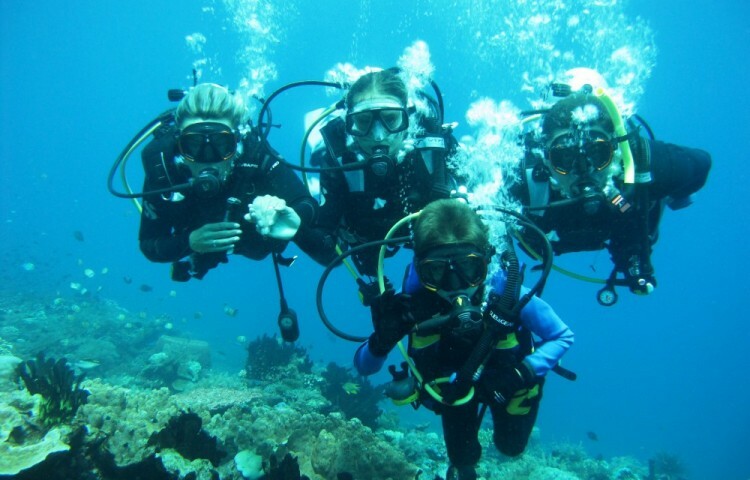 This dive is safe even for inexperienced divers. The maximum depth is 14 meters and it is a unique experience. The only thing that can take you by surprise are waves rocking you up and down so you have to balance your weight, hang on and wait for the Mantas to come. When you see them, don’t get too excited and don’t try to touch them or get near. They will swim away and you will not see them again soon. This area has a white-calcite ground, but isn’t as rich in sea life as the coral gardens. 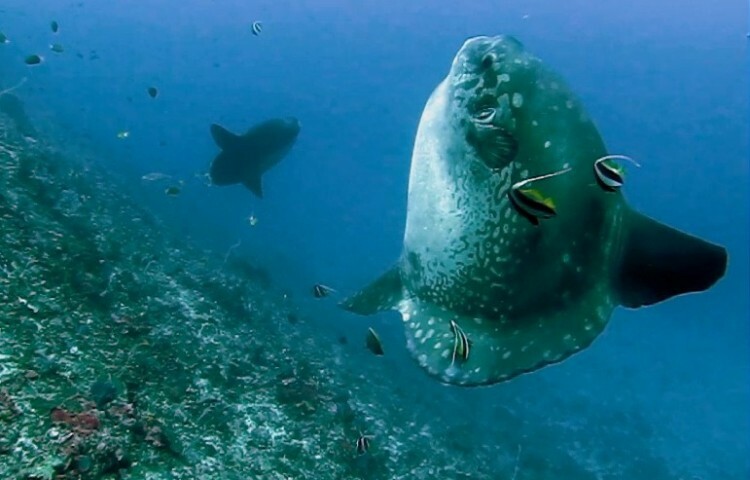 The reason to dive here are Mantas, mackerel, tunas and other pelagic. If you are prone to seasickness, there is no shame in taking the local pink “Dramamine” before leaving Padangbai to avoid any unpleasantness. Imagine a virgin bay with palm-trees and white sand located between the islands Nusa Penida and Nusa Lembongan. 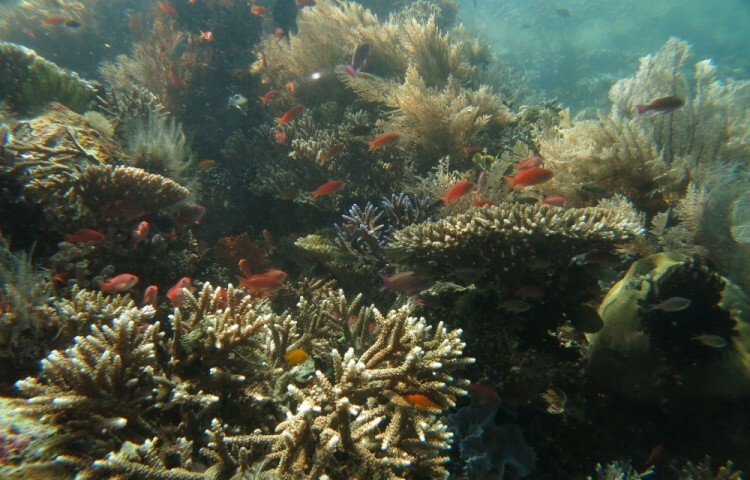 It is protected from currents so there are rich coral gardens under the water slowly coming to the slope. On the slope you will find several cleaning stations with butterfly-fish, where in the season Sunfish come too. If you haven’t seen them before, come to this area in summer or in early autumn. Due to strong currents the slope in the canal is covered with a low coral layer but it is compensated by the big schools of fish waiting for the cold currents carrying food. Wear warmer neoprene (5 – 7 mm) and don’t forget a hood. Max. 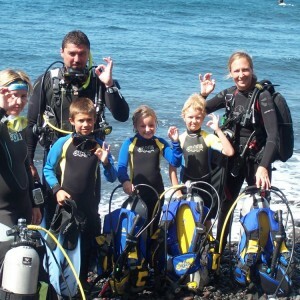 dive depth is 30m but it is recommended only for very experienced divers. Others should stay to 20 meters and follow local guides. You can’t be too safe! You wouldn’t like to get caught in the current in the canal. Check you have a decompression buoy before you dive. In the coral gardens you can see black and white striped sea serpent, anglerfish or scorpionfish. The white beaches around the north coast of Nusa Penida are where natives grow seaweed. Coral carpets grow in the shallows and the visibility is often more than 20 m. Here you can find areas where you can let the current carry you and watch coral fields from 3 to 30 m deep. This area is suitable for all levels of divers. Try to work with the current and use it in your diving. A decompression buoy is necessary here as well. 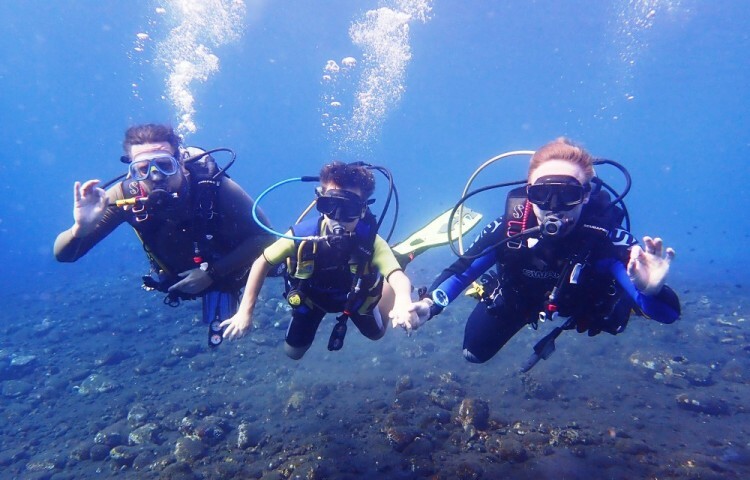 The island Tepekong (a 300m long rock) offers some of the most spectacular diving in Bali: steep walls, The Canyon, cold water and strong currents make this a site for experienced divers only. Drifting with the current, you can see shark, moray eel, ray and other pelagics. Visibility is usually very good. A scenic canyon waits in the depth of 30 - 40 m for advanced divers. It is wonderful place with unique atmosphere. It looks like an amphitheater you could see somewhere in Arizona. You will see black and silvertip sharks, schools of fish, morays and scorpion-fish and in shallow water even turtles. You can only visit the canyon when the current is calm and with experienced local guides. On the other side of the island it is safer and with many kinds of creatures you can’t see close to coast, it attracts many divers. Again it is good to have a decompression buoy with you. Only 15 min by boat from Tepekongem is another of many little islands. This one attracts the admirer of silvertip sharks, which rest in a cave around 8-10 m deep. The cave is quite roomy and up to 10 divers fit in. The island is located in an area with strong currents and it is necessary to stay out of their reach. In ten minutes by boat we get from Padangbai to Blue Lagoon. This easy area offers great macro-photography. White sand covering the ground gives deep blue shades to the water. 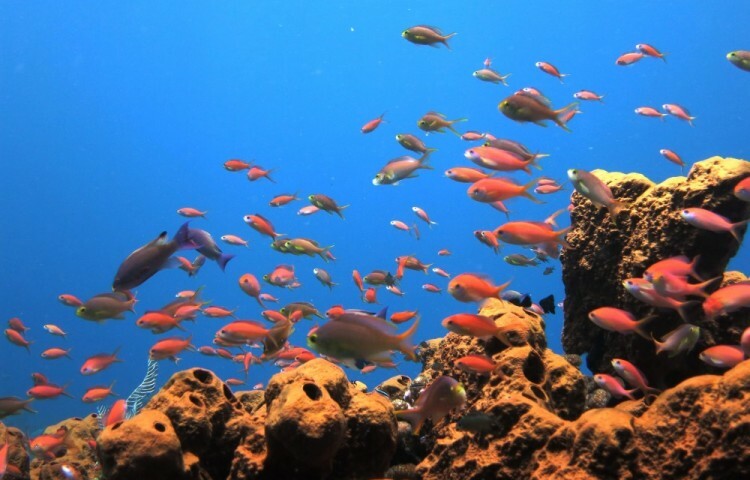 Coral reefs shelter many fish and invertebrates. Observing eyes or an experienced guide will help you find well camouflaged creatures. You will find big anglerfish, scorpionfish, and stone or carpet flathead fish. Dive suitable for all levels of divers. 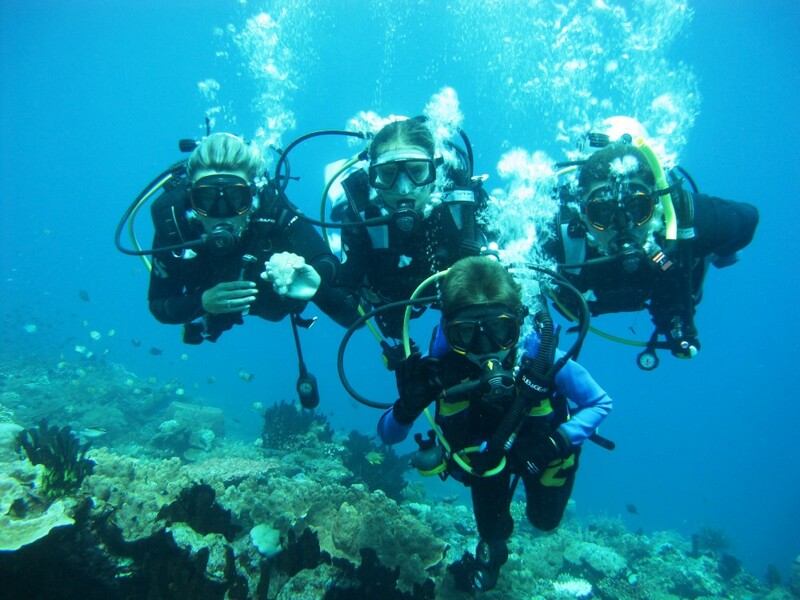 Max depth is 25-35m, but most the sea life is at around 10 meters deep. This area is directly in front of the port in Padangbai and is perfect to see turtles and silvertip sharks. Also you will see something new nearly every time here, for example rare types of scorpion fish and nudibranchia. 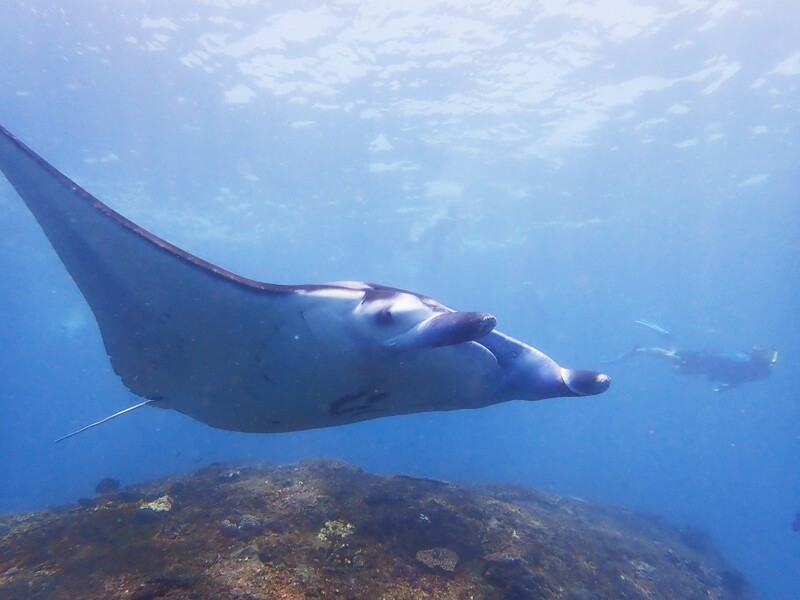 The channel drops to 30 meter deep, where under the crag sharks and rays hide. Here you are safe from currents, just don’t surface in the shipway. Menjangan is part of the national park, previously known for the local deer, where the name comes from. It is not far, you get here in 30 minutes by boat. The visibility is usually very good, sometimes up to 50 meters. From January to March you may encounter big waves. Menjangan’s white sandy beaches make it a nice location to break for lunch. Under water, the drop-off along the south shore and eastern tip, facing the Bali Sea, are home to lots of colourful small fish and vertebrates, lacy sea fans and a variety of sponges. The sandy, gradual slopes of Menjangan’s north coast is a final resting place for Bali' s oldest diveable shipwreck, the Anker Wreck. 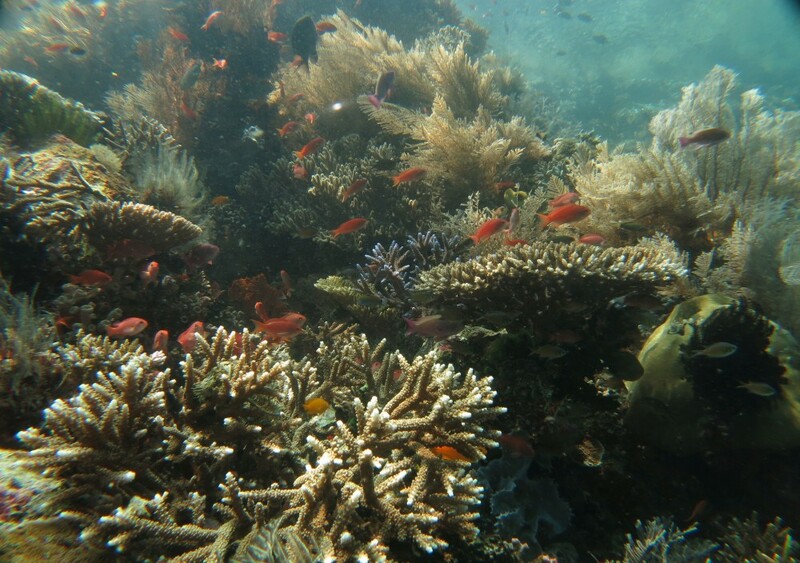 Menjangan Island’s north coast also has some beautiful snorkeling sites.